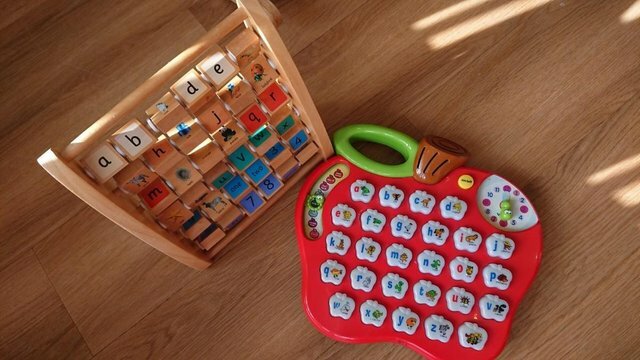 Used and secondhand Alphabet Toys for sale. Comparing the best second hand auction and classsified sites. 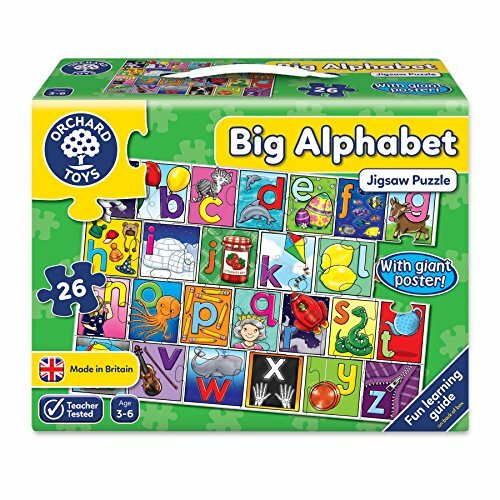 Learn the Alphabet floor puzzle.Uk bidders only please.Please check out my other items.Local collection accepted. 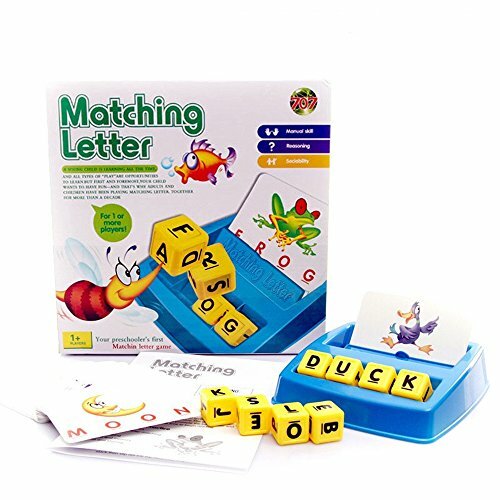 Childrens Magnetic Words Learning Education. Condition is Used. Very good condition, piece them together to make short sentences; smoke free home; payment within 48hrs, thank you. This is a mix of various Duplo sets including the numbers and alphabet train, a box of basic bricks and a car and truck. The bricks are clean and in immaculate condition. I am open to offers. Alphabet teaching aid. Each letter pocket has a relevant letter inside- this has Velcro on the back & can be attached to the corresponding letter. This alphabet chart can be hung on a hook using the.. Magnetic letters on a magnetic board. The full alphabet plus 10 extra letters. I am also selling magnetic word tiles which you could use on the board. Vtech Smartville train station & zoo animals. On learning mode Press the alphabet buttons on the track and it says what they are. Two more buttons play music. On discovery mode it speaks the numbers..
Innocent Smoothie Fridge Magnets Letters Numbers PicturesMagnets are used but in very good condition, please see pictures.Lovely to combine to make names on your fridge.from a smoke and pet free home. Innocent Alphabet Fridge Magnets - "ETHAN"
Innocent Smoothies Alphabet Fridge Magnets - Set of five spelling "ETHAN". Mostly new/unused, some in very good, lightly used condition. From a smoke-free and pet-free home. PayPal only please. Early Learning Centre magnetic upper case letters stored in a plastic tub. There is meant to be 68, I counted them and they are all there. All in good working order.From a smoke and pet free home. Russian Language - Learning Set For Children. Condition is Used but as New. Very comprehensive and well thought educational set creating the whole knowledge of Math Nd Russian language for beginners. VINTAGE ALPHABET NUMBER AND SHAPE ABACUS.IT LAYS FLAT FOR STORING BOTTOM HAS STRING ATTACHED FOR STANDING.NICE OLD TRADITIONAL ABACUS.THANK YOU FOR LOOKING. Childrens Alphabet Flash-cards.Reproduced from a 1930's set. Ideal for preschool child starting school. In excellent condition ! To buy new Â£64:99 for this one Â£50:00. 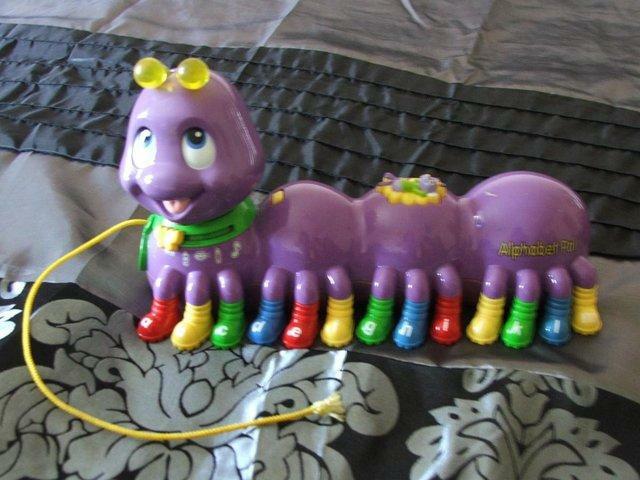 Vtech train, fabulous toy in great condition, can be sat on or pushed along, complete with handles, alphabet blocks which can be slotted into the top or into the side to hear sounds and lights, also..
Soft Rattle Blocks (box of 6) frm 6 mths - beautiful bright colours with letters A-F on each block and pictures on the other 5 sides. Â£3 Leapfrog Alphabet Pal Â£7 Peter Rabbit height chart (New,. 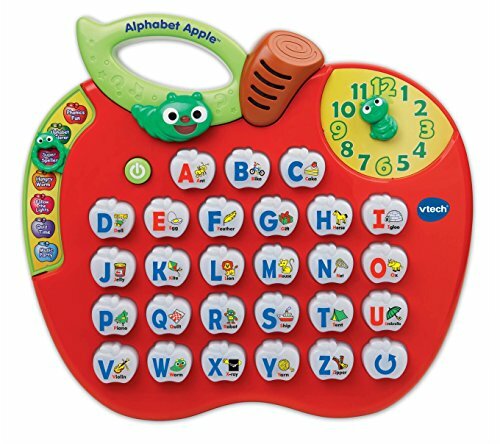 V-Tech Alphabet Train. Ride and learn with the alphabet train which has sit down play, walker, pull along wagon and ride on modes. A removable walkie talkie and number pad, light up piano keys and a..